This is one of the most sought after categories and always has fierce competition. 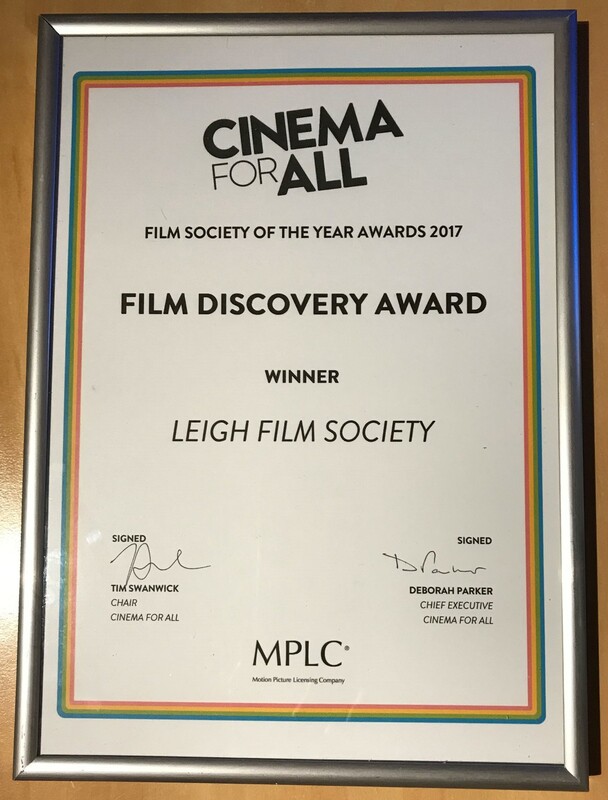 This award is all about our screening programme that runs across the year and how we maintain interest within the society. 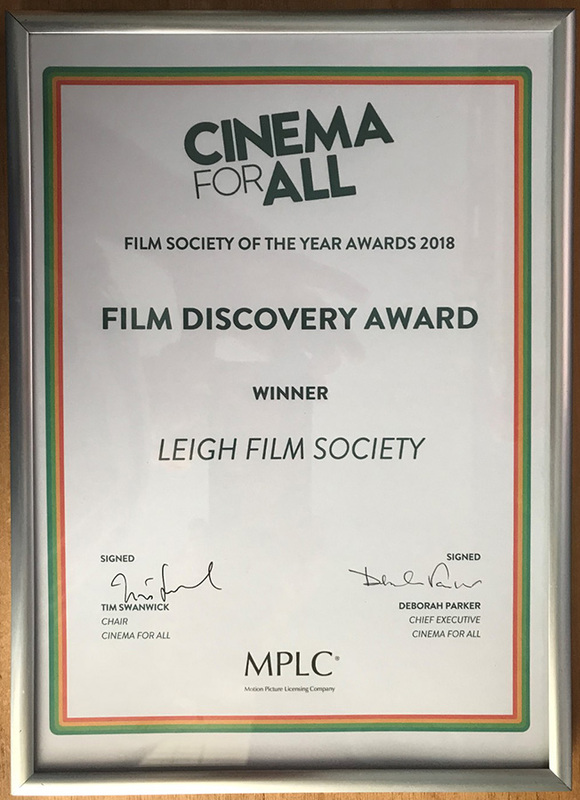 Won for the 2nd year running! 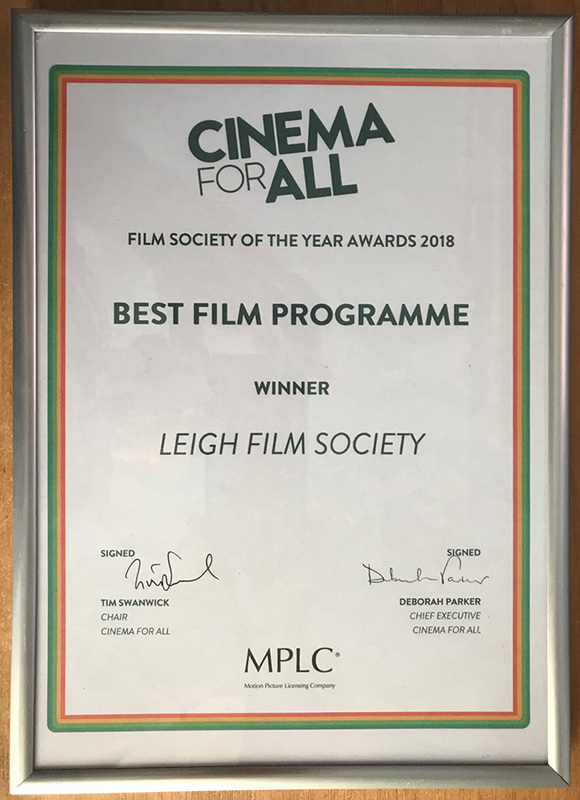 This is presented in recognition of our work with educational establishments and other programmes and groups within the community to further the knowledge of film and other subjects. 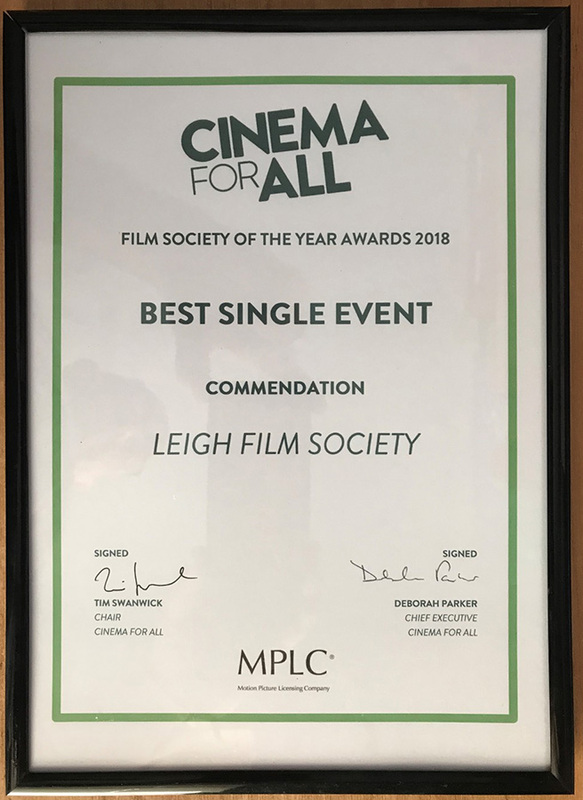 Awarded for our Suffragette screening in Leigh Parish Church, where we worked with the Leigh WASPI ladies groups. 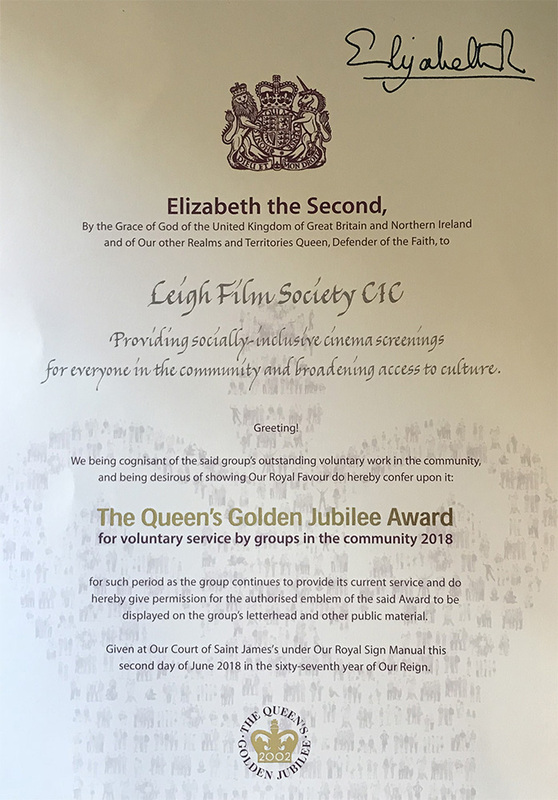 This is presented in recognition of our community based programmes, reaching such diverse groups as the elderly, the disavantaged and the young. 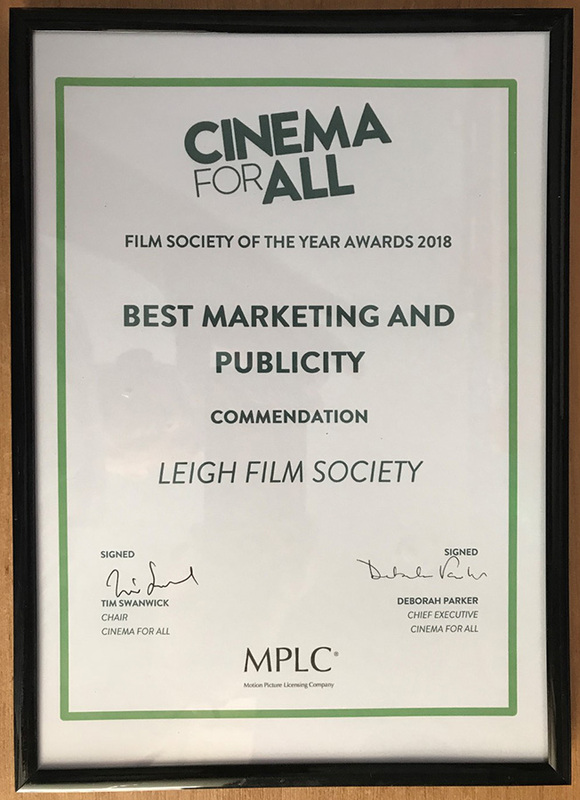 Awarded in recognition of the work we do to publicise Leigh Film online, in print and elsewhere. 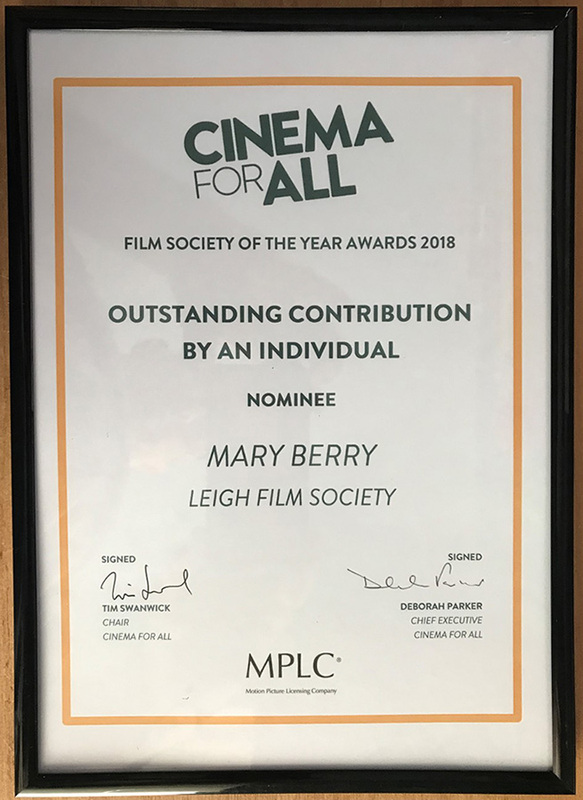 presented to Mary Berry in recognition of all the activities and roles that she performs at Leigh Film Society. 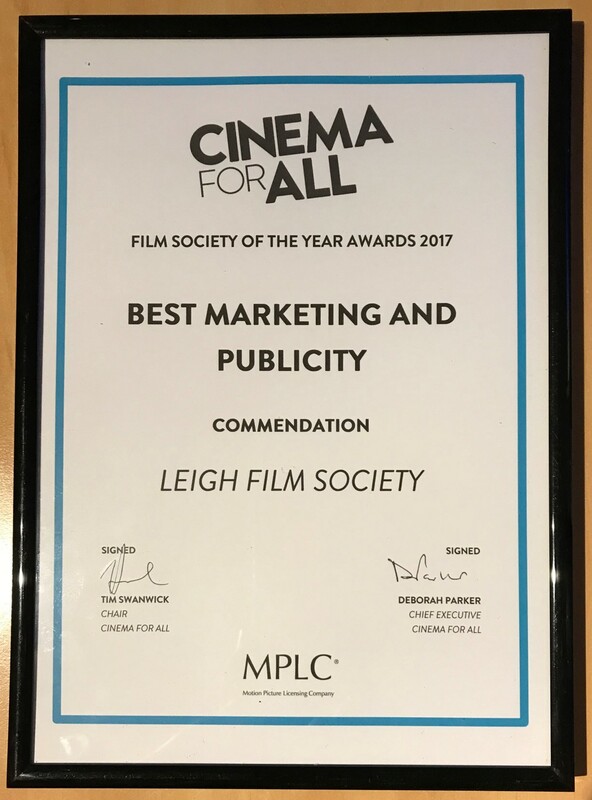 This is an incredibly prestigeous award to receive! It is essentially an MBE for our entire society. 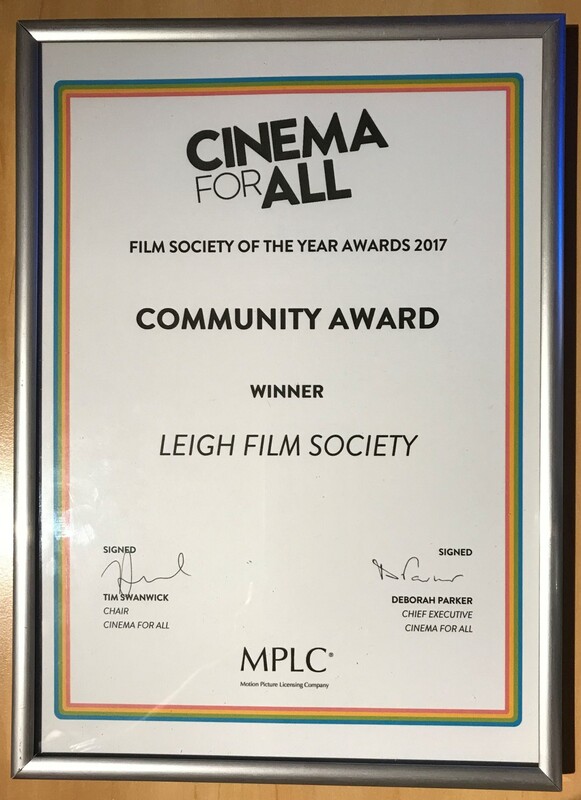 "Providing socially inclusive cinema screenings for everyone in the community and broadening access to culture"
This is the big one! 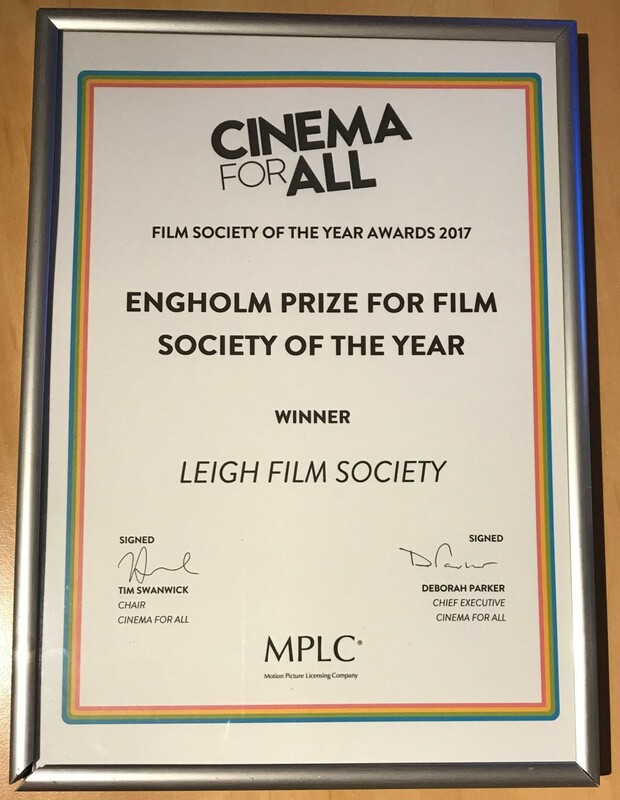 Film Society of the Year 2017. 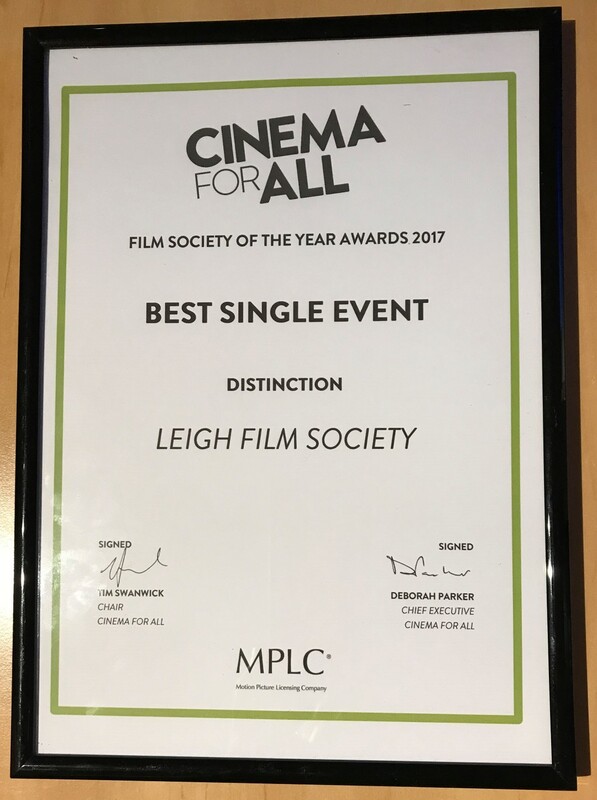 We were competing with over a 1000 other societies and it's a fantastic achievement for our volunteers. 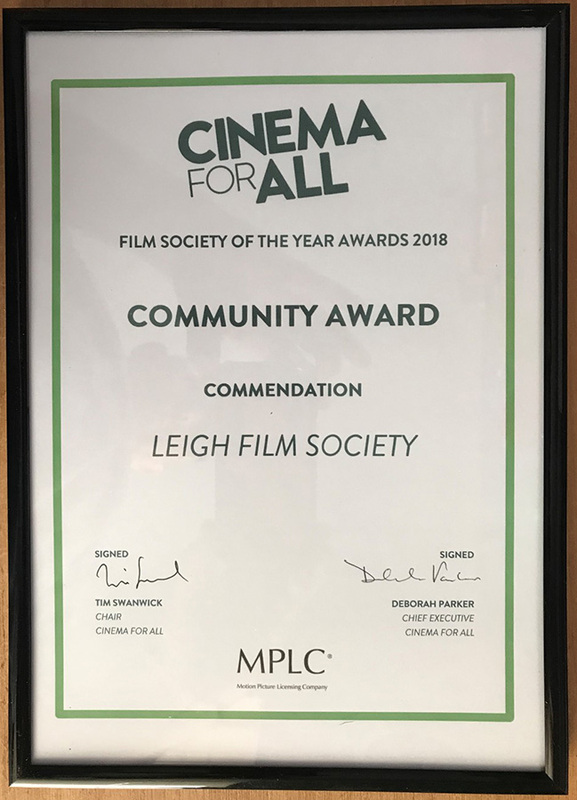 Awarded for our Easter screening of The Life Of Brian which we held in Leigh Parish Church. 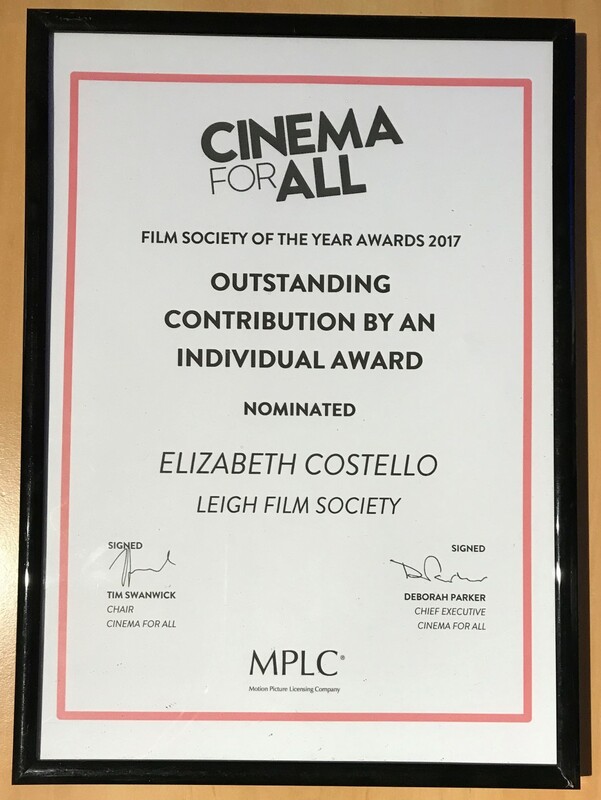 presented to Elizabeth Costello in recognition of all the activities and roles that she performs at Leigh Film Society. 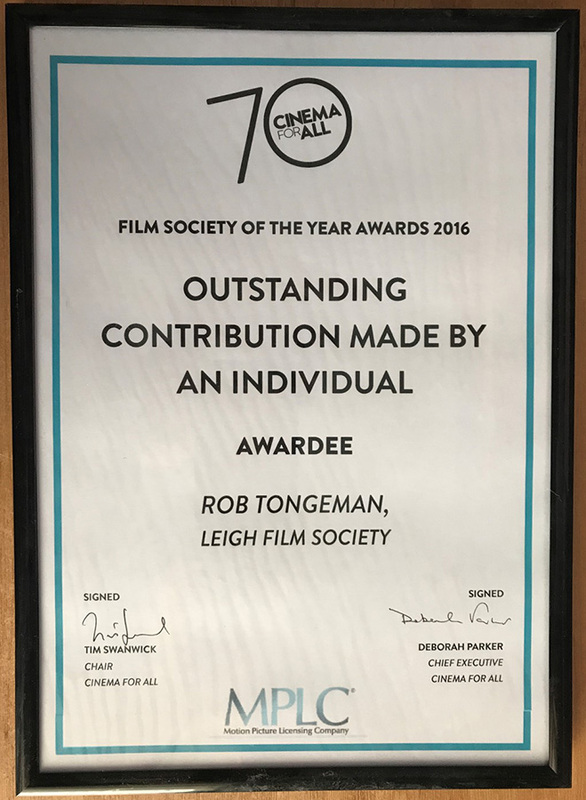 presented to Rob Tongeman in recognition of all the activities and roles that he performs at Leigh Film Society.